Primavera has known many lives as both restaurant and residence. Originally built by a member of the Purdy family, one of the original settlers in the area, it was also known as the 1864 House, so named for its date of construction. Although the building has been renovated several times, the bones of the house are still recognizable, especially as one looks up to the charming garret, whose flat roof, sometimes called a widow’s walk, often served as an observation platform. Mona Trattoria, a family-operated Italian restaurant that operated for some 30 years, followed after the home was converted to a restaurant. In 2002, actor Stanley Tucci bought it and renamed it Finch Tavern, renovating it with dark wood shutters and soft yellow banquettes that feel fresh today. In a nod to the equestrian tradition of North Salem, a mural of horses was added in the main dining room. 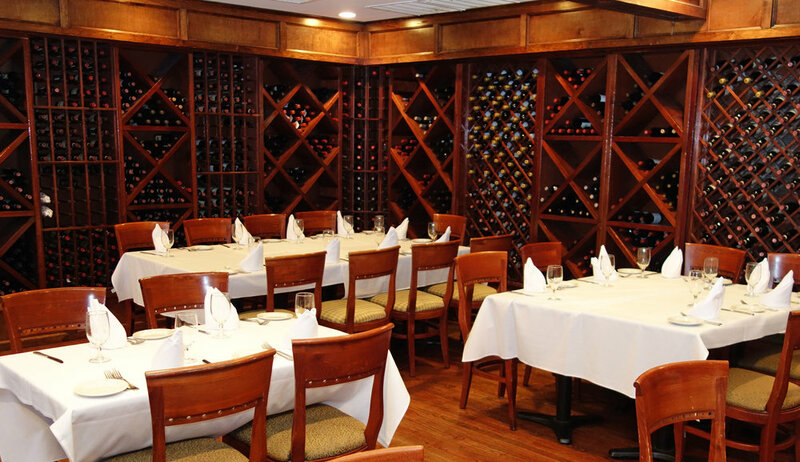 In 2006, Jimmy Gjevukaj and his family took over the premises and relaunched the restaurant as Primavera, continuing the tradition of fine Italian dining in a warm and welcoming atmosphere. For a truly intimate dining experience, plan your next group event in our elegant wine cellar, complete with it’s own fully stocked bar. Jimmy Gjevukaj and his family are dedicated to providing you with an exceptional experience. Click HERE for group rates.